Updated: The cover for The House of Hades by Rick Riordan has been revealed. It might seem that today is book cover revelation day. Earlier, Jonathan Stroud has the pleasure to share with us the covers of Lockwood & Co: The Screaming Staircase and it's now followed by the revelation of the cover of Rick Riordan's The Son of Sobek. 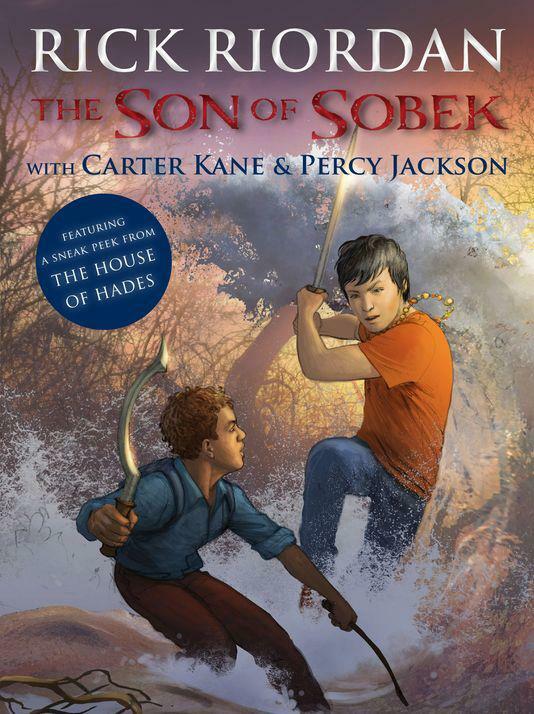 The Son of Sobek, which is a crossover between the Kane Chronicles and Heroes of Olympus universe, will be released on June 13, 2013 as an electronic e-single. It will include a text version and the audio version of the story, read by Rick Riordan himself. And for the bliss of every fan, it will also include an exclusive sneak peek chapter for The House of Hades. Checkout the very nice cover of The Son of Sobek below. I really do hope this novella will have an actual booklet edition. It would be quite unfair for those who don't have an electronic book reader and already has a copy of The Serpent's Shadow, where The Son of Sobek was first included in its paperback edition. I really need to have a separate and bound copy of it! After this, I am still excitedly waiting for the cover revelation of The House of Hades, the upcoming fourth book in The Heroes of Olympus series. We can expect the cover reveal on May 31. Better peel out your eyelids to look for it on that date. Is the cover going to be out at exactly at the beginning of the 31 of May like 0:01 AM or later in the day? and in what region's time? "Less than 24 hours until the HOUSE OF HADES Cover Reveal!"